What is a home health aide or HHA? 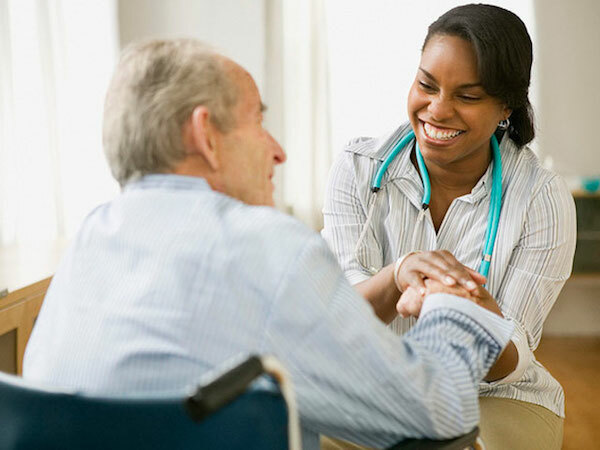 Essentially it is someone who is skilled in providing home care to those who need it. The needs of our elderly are growing constantly as the number increases due to the aging baby boomer generation and also people living longer. Many of this older generation prefer to stay in their homes and live independently as long as possible. This is now made possible through the home care given to them by people who have received appropriate training. These HHAs work in the home to provide comfort to all those needing it, especially those who are elderly, ill or recovering from an illness or accident. HHAs provide a valuable service that is increasingly needed. Home health aide training can start you in a career in health care or nursing, and give you a sense of achievement in your job. This page tells you what to expect when you take home health aide classes, what the prospects are after completion and where you can find HHA training online or on campus. If you are interested in helping with health, you might also want to check out the nurse aide and dental hygiene pages. What is involved in the training for home health aides? The training that allows you to become a home health care professional is not extensive. It does not require a college degree – a person can be ready to go to work after a four week training program. The skills you will have learned will include communication, nutrition, infection control, how to recognize emergency situations, as well basic nursing skills such as the recording of vital signs. Training is done under the supervision of a registered nurse. Your training program, although short, must be state-approved. So it is not too difficult to become a home health giver. What is mainly required is a sincere desire to make the life of the handicapped and elderly more comfortable that is required. It should be noted, however, that this type of work is not always pleasant. It can require the care of patients who need just about everything done for them, such as someone who is a paraplegic or is recovering from a stroke. What is required to be a home health aide? There are different areas of home health care with which a person needs to be acquainted. The resident may need to be given a bath. Their nutrition has to be watched closely as it plays such an important role in recovery and continued health. Bandages on wounds may need to be changed. There are patients with special needs such as those that are mentally challenged. It may be necessary to ensure that medications are taken as prescribed. Simple skills such as doing laundry, light housekeeping, and grocery shopping are also on the list of things that need to be done. Just about any task that the patient is unable to do, falls on the shoulders of the aide. At times the work can seem thankless, at other times it can be found to be most rewarding. It takes a lot of effort to meet everything that can be required of a home health aid. And to be a good caregiver, you must also look out for your own physical well being. It is essential that you have regular medical check ups. Occasionally, depending on the type of service one has been rendering, emotional stress should also be watched out for. An aide must have a vehicle and be able to provide their own transportation to and from different residences. Some clients will require visits up to three times a day, whereas others may only require two or three visits a week. You don’t know how difficult a caseload will be until it is awarded to you. What are the career prospects with home health aide certification? The average income of a primary health giver typically runs well above that of the minimum wage in the United States. An hourly rate can run as high as $18.00 per hour and more in some areas, which is a good rate of pay for the type of work. The career prospects for home health aides are very good. There are many areas where there are just not enough caregivers to go around. If you are looking for a career that is challenging but rewarding, then undertake some home health care training.